Large ink supply to ensure a long lasting marking life. 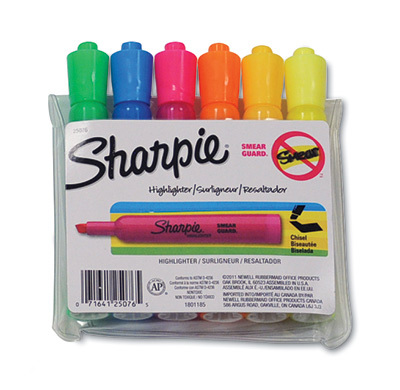 Features specially formulated Smear Guard® ink technology designed to resist smearing many pen and marker inks. Quick-drying, odorless and certified nontoxic ink. Assortment pack contains one each of yellow, fluorescent yellow, fluorescent pink, fluorescent green, fluorescent orange and blue.